If you’re searching for a job in Stornoway, you’re in the right place. Below you’ll find a range of career opportunities across different sectors, and if you don’t find what you are looking for, you can register with us as we continually update the page with new listings that arise in Stornoway. Whether you’re exploring a career change or hoping to progress your current path, we’re here to help you find a role to suit your needs. Below you’ll find the current vacancies in Stornoway, with popular jobs in engineering and the tech industry. Use the filters to focus your search on the type of role you’re looking for. Take a look at our application advice pages for some tips on how to get started. Scotland’s small town of Stornoway is surrounded by a variety of nearby villages to explore. Although it’s quite small (the town’s population is of about 8,000 individuals), the town itself can be surprisingly busy as many spend their weekdays and weekends walking around the centre of town. The area offers a beautiful range of natural landscapes from mountains to meadows to white sand beaches. Stornoway is also home to a few sporting and media establishments, plus a variety of educational establishments. The healthcare industry is an exciting one to be a part of with many different roles to choose from. Whichever you decide to be suitable for you, you’ll have to chance to get to know the community members of Stornoway and make a real impact on their day-to-day health and lifestyle. 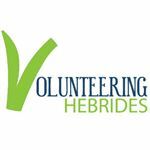 Many of the roles you'll find will be posted by the NHS Western Isles. 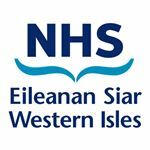 The NHS Western Isles is the organisation responsible for providing healthcare to the population of the Western Isles, which is made up of approximately 26,500 people. They employ around 1,030 staff in the Stornoway area. From neurological clinical nurse to consultant radiologist, you'll be sure to find the right role for you in the healthcare industry. Stornoway offers technical and engineering roles from companies like SSE whose mission it to supply the energy people need in a reliable and sustainable way, perfect for someone who has a desire to protect the environment surrounding them.